30/03/2013. My first activation was Mt. Torbreck VK3/VN-001; and why not start big with a 10 point summit? This would be a 2 metre FM only activation with the FT470, 5/8th ground plane and 30 watt PA. For power I had a 17ah SLA battery. All up this gear was quite heavy although I was not overly fussed; the walk being not much more than an hour & Nan & I were in training for Peru (Inca Trail) later in the year.This summit also had a special attraction as I spent years looking at it from my parents boat on Lake Eildon. This was Saturday of the Easter and School holidays. 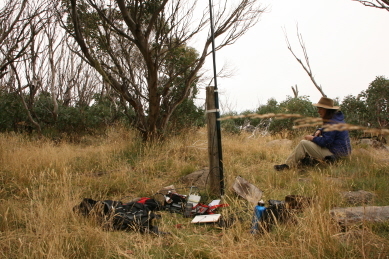 We set up camp on the Barnewall Plains on our own and headed up after lunch. First contacts were whilst approaching the cair (inside the activation zone). They were with Ron VK3AFW near home and s2s with David VK3FMDV/p and Rik VK3KAN/p on Mt. Piper. Later with the antenna and PA set up I worked VK3s GRK, PF, XL and LO. Operational time was 32 minutes plus set up and pull down. The view from the top of the cairn is very good but the WX was closing in and temperature quite cold. Had rain over night, managed a few chaser contacts from the car in the morning before heading to Marysville Cafe for lunch. On the way home we had a look at Conns gap Rd (definitely 4WD only) and managed to tear the rear diff lock air line out on a tree branch. Bills Head will be another day. Probably the closest summit to home and an ideal place for the new KX3, squid pole and doublet antenna to be tried out in earnest. I had previously tested it out in the back yard and over at the local school so I was pretty sure I had things organised, but…. All up on 40 I worked 16 VK3s, 3 VK2s and 5 VK5s. 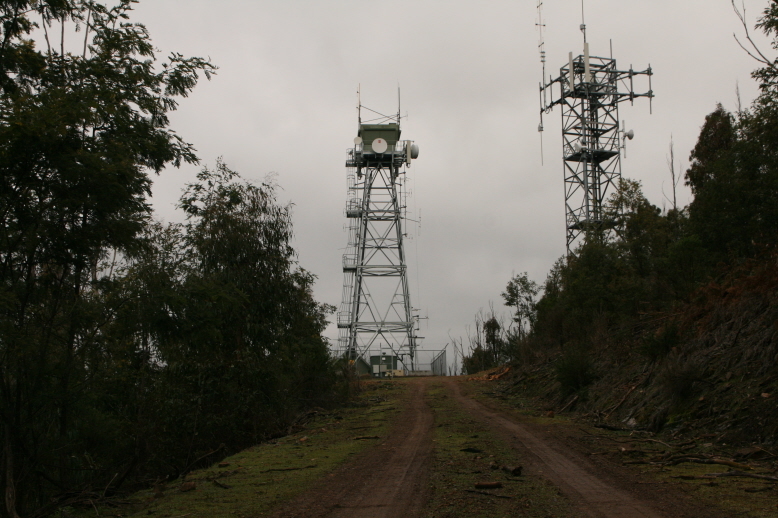 Highlights were Ed VK2JI north of Sydney and John VK2YW/m near Cameron Corner – both on 30 metres. This is my home brew feeder and antenna. This consists of two identical lengths of separated figure 8 flex forming both the doublet top and the feeder. Future variations will see the spreaders changed, the feeder cahnged and Peter VK3PFs beaut reinforced wire used for the top. Activation on air time 41 minutes. 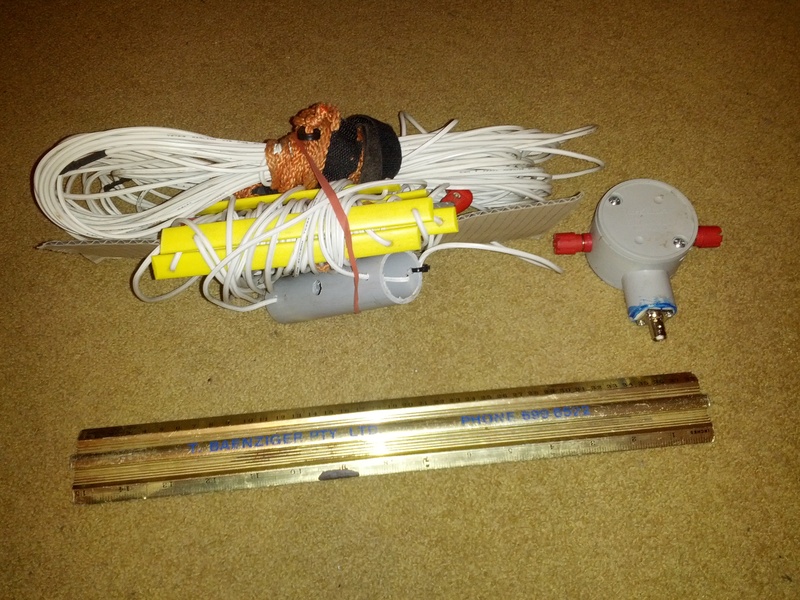 I think some improvements are required on storing the antenna and feed line. Not sure how the Guanella Balun is performing? Located on the outskirts of Marysville, Mt. Gordon is an easy summit to access. 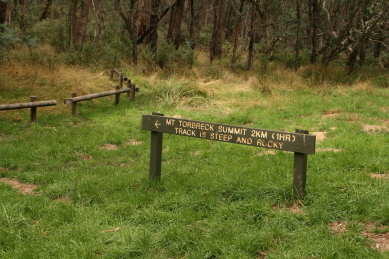 This is done via a dirt road that leaves the Marysville to Narbethong road and heads right up to the summit. Vehicle access is blocked by a locked gate very lose to the activation zone boundary. If parking at the gate, walk back down the road a bit to be safe! WX conditions cool and overcast. First contact was S2S with Glenn VK3YY/P on VK3/VC008. 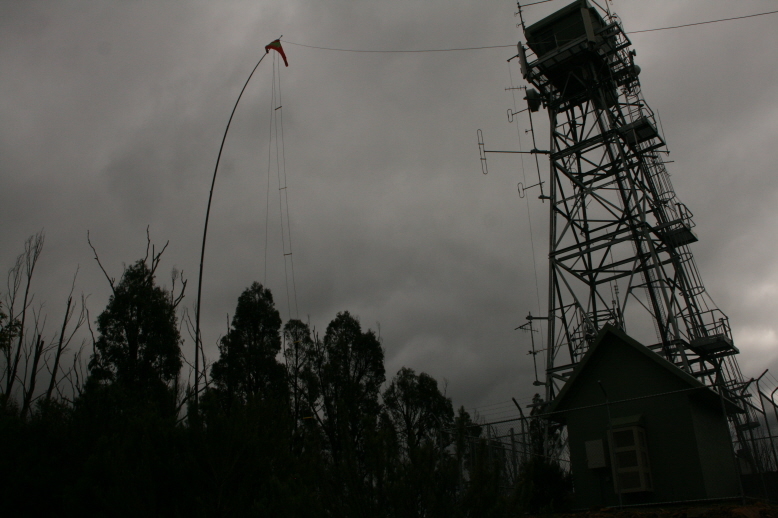 Glenn was also worked on 12 metres. Nan and I have been to Mt. Matlock on numerous occasions pre-SOTA but even so, I had forgotten just how long a drive it is from Marysville, a transit time of around 2 hours primarily due to the road conditions – a mostly winding road with lots of loose gravel, I had a few S2s contacts waiting for me, The log shows 19 x 40 metre SSB contact and a 12 meter cw contact with Ian VK5CZ. Signal levels were too low for a phone contact There were still patches of snow about the summit and plenty of mud. Nan had her lunch in the warmth of the car with a book – who is the clever one?